Alachua/High Springs Relay for Life Fundraiser!! 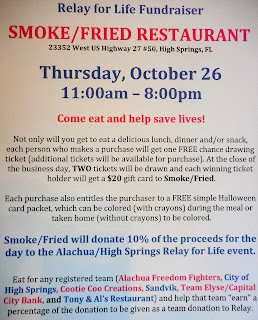 Everyone is invited to "eat and help save lives" at Smoke/Fried in High Springs on Thursday, October 26, 2017. 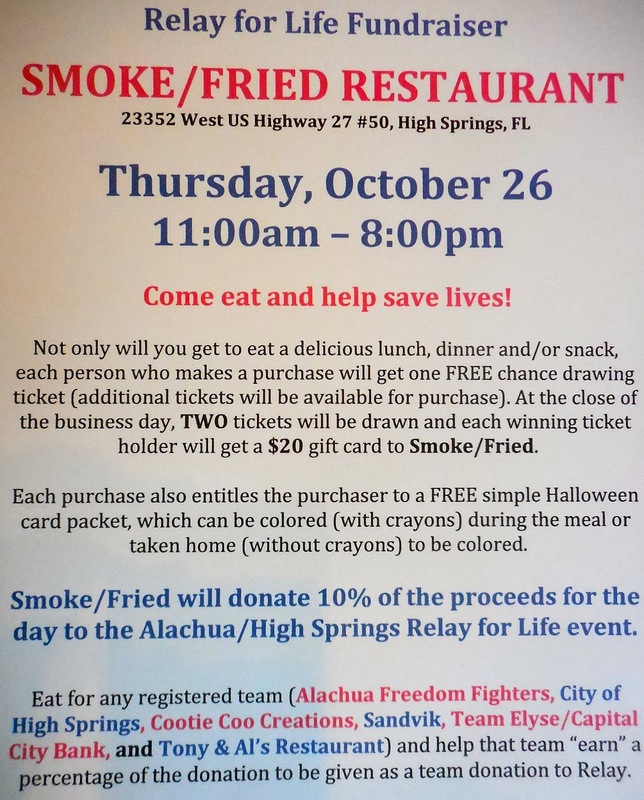 The fundraiser will run from 11:00am - 8:00pm and Smoke/Fried will donate 10% of the proceeds from the day to the Alachua/High Springs Relay for Life event. Come and out and support the team of your choosing. Teams will "earn" a portion of the donation (based on participation) that will be counted as a team donation. What a wonderful way to come together as communities and help fund a cure! Contact Sharon Kantor at 386-454-8008 if you have any questions. If you would like to register yourself or a team, simply go to www.relayforlife.org and follow the prompts. 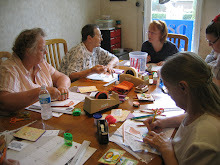 Do this by October 25 and your team will be included in the fundraiser!